Each year, medication errors kill or seriously injure tens of thousands of Americans. In other cases, the injuries are not physically serious but the consequences are significant. The wrong dose of medication, or the wrong kind of medication, may prolong an expensive hospital stay. Many times, the medical staff is responsible for these mistakes. Medication dispensing requires strict attention to detail. A simple mistake, like transposing a couple of digits, can have serious consequences. Other times, the medical staff has nothing to do with the mistake. Instead, the error came much earlier. Mistakes during the manufacturing or labeling process can be deadly in many cases. Damages in a Florida medication error case are often significant. These damages may include compensation for economic losses, such as medical bills, as well as noneconomic losses, such as pain and suffering. But the defendant insurance company does not simply give away this money. A Florida personal injury attorney must work hard to obtain it. In the Sunshine State, the standard of care varies on a number of factors, such as the relationship between the tortfeasor (negligent actor) and the victim. The doctor-patient relationship involves an extremely high duty, because the level of trust and dependency is so high. In most cases, patients rely exclusively on their doctors when it comes to their health. So, the legal standard is very high. The exact standard varies according to the facts of the case, such as the geographic location, doctor’s experience level, and patient’s level of understanding. In both these kinds of cases, Florida jurors often award substantial punitive damages in addition to the compensatory damages mentioned above. Punitive damages are appropriate if there is clear and convincing evidence that the defendant behaved recklessly. Everyone makes mistakes, and we must all face the consequences of those mistakes. Doctors, nurses, pharmacists, and other medical professionals are no different. If their behavior falls below the standard of care, they are liable for damages in civil court. Additionally, because of the respondeat superior rule, the pharmacy, hospital, clinic, or other entity which employs the negligent professional may also be liable for damages. This rule applies if the negligent actor was an employee who was working in the scope of employment at the time. Design Defects: Some pharmaceutical and medical device companies use cheap ingredients which increase their profits but put people at risk. Manufacturing Defects: Other times, the product looks fine on the drawing board. But there are gaps during the manufacturing or shipping process. Manufacturers are legally responsible for all defects which occur before products leave their control. 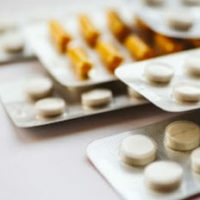 Medication errors often cause serious injuries. For a free consultation with an experienced personal injury lawyer in Brandon, contact Reed & Reed. We have four area offices (St. Petersburg, Lakeland, Tampa, and Clearwater).